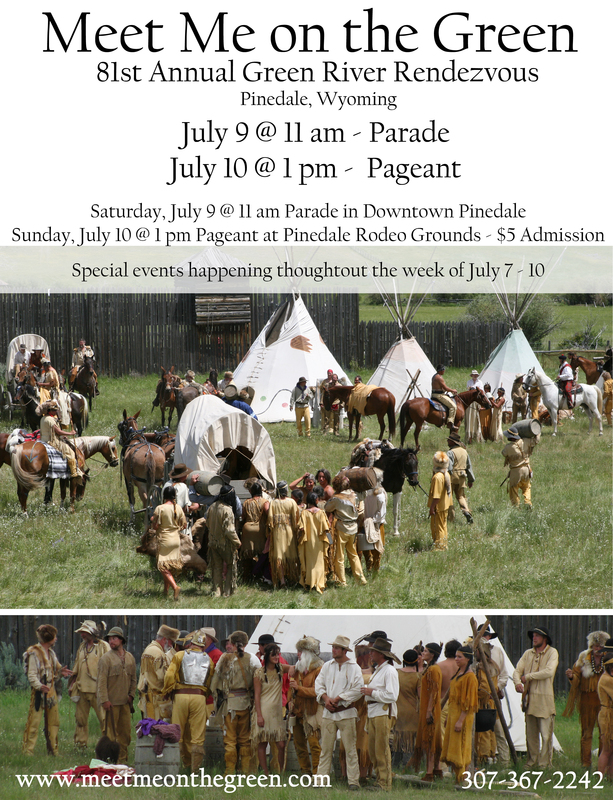 From WYDOT & the Wyoming Highway Patrol ... Severe winter weather and multiple crashes resulted in a road closure in both directions on Interstate 80 between Cheyenne and Laramie on Saturday (Feb. 6th) resulting in motorists becoming stranded behind the crashes. The first crash occurred around 2:20 p.m. near mile post 340 eastbound, approximately 20 miles west of Cheyenne, when a commercial truck crashed into a WYDOT snowplow blocking all lanes. Shortly after that crash, all westbound lanes became blocked due to multiple crashes in the same vicinity (mile post 340). 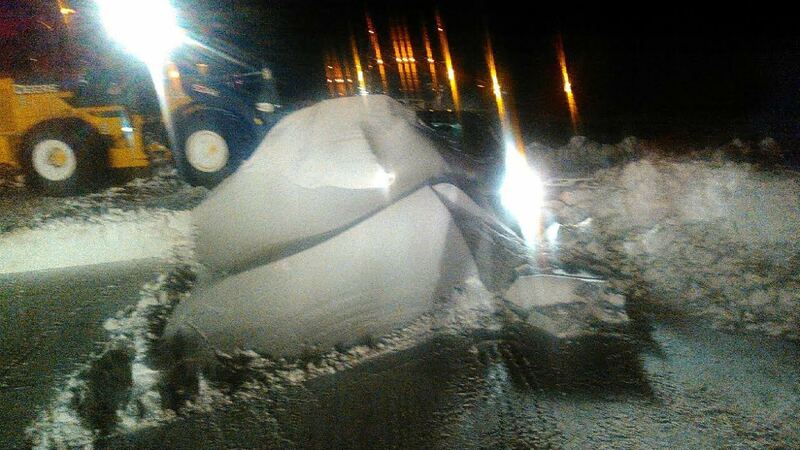 As law enforcement, first responders, WYDOT and tow companies attempted to sort through and clean up the crashes, stranded motorists and their vehicles became drifted over while stopped in traffic due to the crashes. The drifting became so extreme in the 55 mph wind gusts that Troopers began walking through miles of stuck traffic reassuring motorists and making sure they were ventilating their vehicles with fresh air as the snowdrifts began covering their vehicles or plugging exhaust pipes. Some motorists were not freed from the drifts until 5:00 a.m. the next morning. The storm was a harsh reminder to always travel prepared during winter driving. The Wyoming Highway Patrol wants to remind everyone when traveling in inclement weather to keep your fuel tanks full, have extra blankets, a shovel, non-perishable food and water that can help you survive an extended time if you become stranded on a highway. Remember to get out and frequently check that your exhaust is not blocked by snow and ice and is able to vent properly to avoid affixation through carbon monoxide poisoning. Be sure to occasionally bring fresh air into the vehicle by opening some widows as well. Stay resourceful, stay with your vehicle and be sure to keep an eye out for your neighbor as not everyone will be as prepared as you are. New App for Wyoming Roads! 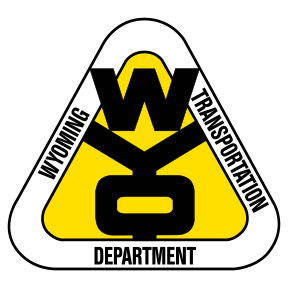 A new smart phone app for road and travel information has been released by the Wyoming Department of Transportation (WYDOT). The Wyoming 511 app provides pre-trip and en route travel information, and can be used to provide location information to friends, family or emergency responders. It is available for most Android and Apple phones. A map-based feature of the app provides information intended for planning a trip. Users can choose between road conditions and highway cameras. When viewing road conditions, a color-coded system shows pavement conditions and traffic hazards. The highway cameras view provides images from WYDOT’s statewide network of Web cameras. Future releases of the app will add information about road construction and weather sensors. The app improves safety for travelers who are already on the road with a “hands free, eyes free” function that speaks incidents and condition reports. Users hear road condition information for the route they are traveling on, and traffic incidents within a user-defined radius. The app also features a “Where Am I?” function that uses GPS technology to identify the user’s location by route and mile marker as well as latitude and longitude coordinates. The location information provides accuracy down to one-tenth of a mile. No personally identifiable information is collected by WYDOT through the use of the app. Be Careful on Those Highways! While these two stories happened several days/weeks ago, the new snow and treacherous highway conditions Wyoming is seeing right now are a good reason to bring it out today – please be careful for yourself, and for others out there! A Wyoming State Trooper sustained minor injury after his patrol car was struck on Interstate 80 on Christmas Day. The patrol car was struck around 3:30 p.m. on Dec. 25th approximately 31 miles east of Evanston, Wyoming in snow and ice covered road conditions. 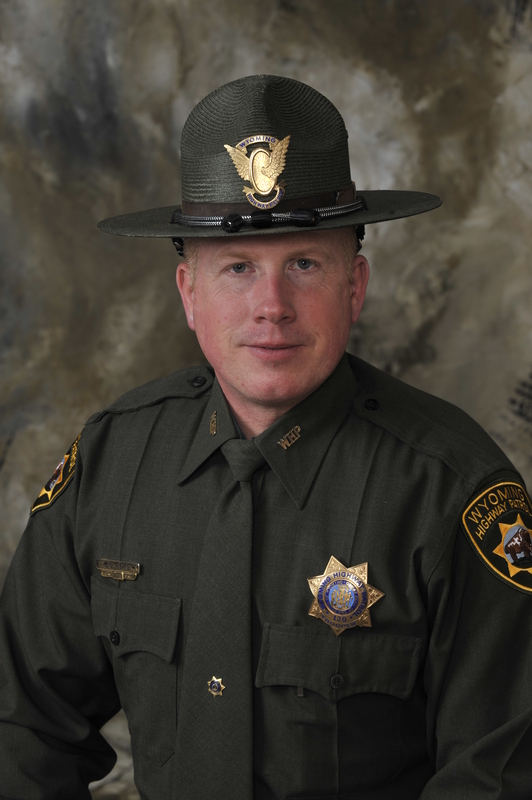 Evanston area Trooper Matt Arnell, a 15 year WHP veteran, was assisting a motorist who had slid off into the median at mile post 36 on I-80 westbound when a Hyundai passenger car lost control and crashed into the rear of Trooper Arnell’s patrol car. Trooper Arnell saw the out of control Hyundai coming at him and was able to prepare for the collision while seated inside of his issued 2012 Dodge Charger patrol car. The collision pushed Trooper Arnell’s patrol car down into the north ditch. The Hyundai stopped in the middle of the westbound lanes of I-80. After the collision, Trooper Arnell was able to check on the driver of the Hyundai, 20 year old Dakota Anglin of Midvale, Utah, and assisted in getting her out of the vehicle while pushing the Hyundai out of westbound interstate traffic. Trooper Arnell was evaluated at Evanston Regional Hospital for injury and was released that same day. Trooper Arnell has since returned to full duty. In 2015, eight WHP patrol cars were struck in similar crashes while Troopers were in the performance of their duties. This crash is a reminder to please slow down on two lane highways and to move over on interstate highways when you are approaching stopped emergency vehicles. It is common courtesy, common sense and the law in Wyoming. Around 3:00 p.m. on January 8, a Wyoming Highway Patrol Trooper was investigating a commercial truck rollover crash and assisting other motorists who had slid into the ditch near mile post 375 on Interstate 80 approximately 11 miles east of Cheyenne, Wyoming. While the Trooper was out of the patrol car assisting a motorist stuck in the snow, a pickup truck traveling too fast for the ice covered interstate lost control and crashed into the WHP vehicle. Thankfully, no injuries were sustained during the crash. Even with six other law enforcement vehicles, WYDOT trucks and tow trucks on scene conducting traffic control on the scene after the crash, motorists were still traveling through the crash scene at 65 and 70 mph on the ice. Secondary crashes into primary crash scenes are one of the biggest hazards first responders face in adverse weather conditions. Once again we are reminding everyone to please slow down on two lane highways and to move over on interstate highways while slowing down when you are approaching stopped emergency vehicles. It is common courtesy, common sense and the law in Wyoming. The Wyoming Highway Patrol Association is sponsoring a WHP “Shop With A Cop” event on December 22nd. 13 children from Cheyenne area elementary schools will be picked up from their respective school by a WHP Trooper, including Colonel Kebin Haller, and taken to the south Cheyenne Walmart at 580 Livingston Avenue (Campstool and College) by patrol vehicle. All Troopers and kids should be at Walmart around 3:55 p.m. on the 22nd. All patrol cars will be parked between the two main entrance doors on the east side of the building. Each student will get to shop with a Trooper and spend $100 + as they wish. All checkouts will be at register number 12. Once all the shopping is complete, a group photo will be taken outside in front of the lined up patrol cars. Parents will be at Walmart to pick up their children at the conclusion of the event. The intent with this event is to provide these children with a little merrier holiday season as well as providing them with a positive experience with law enforcement. 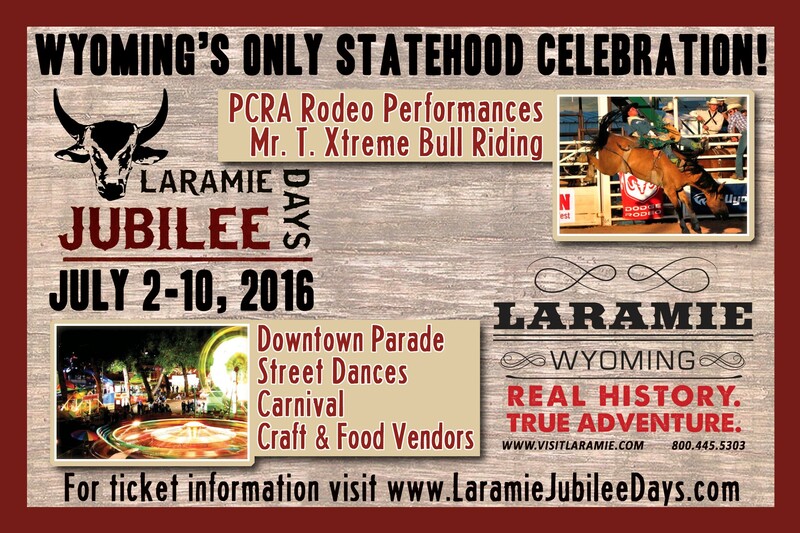 The monetary donation for this event is being provided by the Wyoming Highway Patrol Association (WHPA). The WHPA is a non-profit group whose funding is established through member dues, donations, raffles, magazine advertisements and the WHPA store. To learn more about the WHPA, please visit www.wystatetrooper.com. 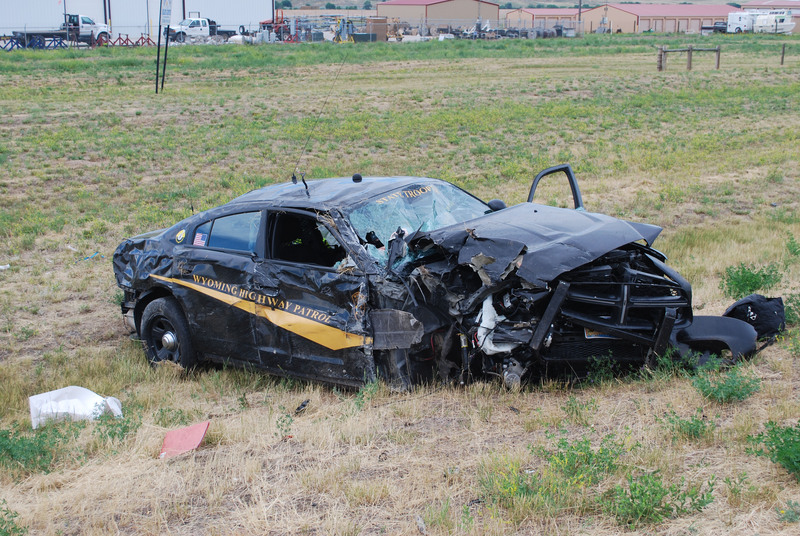 A Wyoming State Trooper was injured yesterday in a two vehicle crash on US Highway 14/16/20. The crash occurred near mile post 33 at the entrance of the Yellowstone Valley Inn west of Cody, Wyoming at 2:11 p.m. The trooper was traveling east on US 14/16/20. A westbound commercial truck with trailer had slowed to turn left into the Yellowstone Valley Inn. The driver turned left and failed to yield to the eastbound trooper. The trooper utilized emergency braking and swerved right in an attempt to avoid the truck. A head on collision was avoided, but the two vehicles still collided. 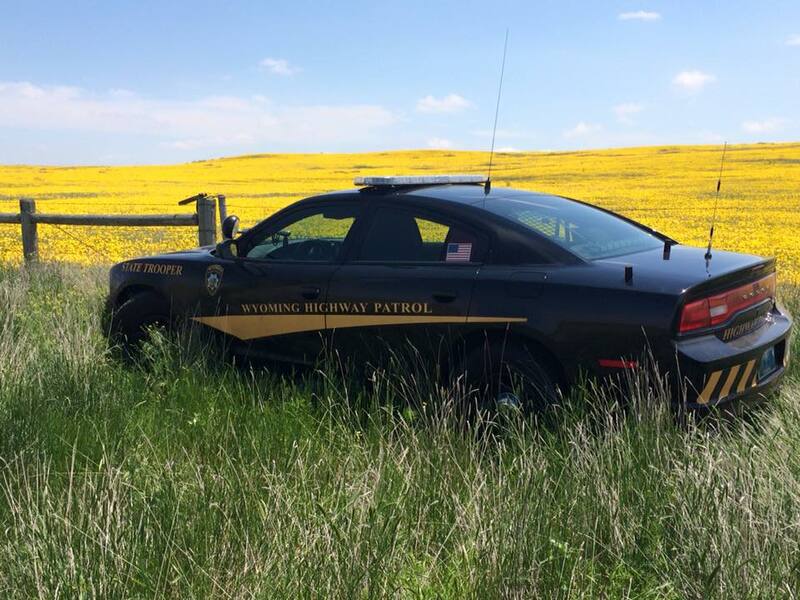 The trooper involved in yesterday’s two vehicle crash west of Cody was Trooper Rodney Miears who is a five year Patrol veteran stationed out of Cody. Both Trooper Miears and the commercial driver were wearing their seat belts at the time of the crash. The driver was cited for failing to yield to oncoming traffic while making a left turn. Trooper Miears was released from the hospital yesterday afternoon and is at home recovering. He is expected to return back to full duty after a few scheduled days off. 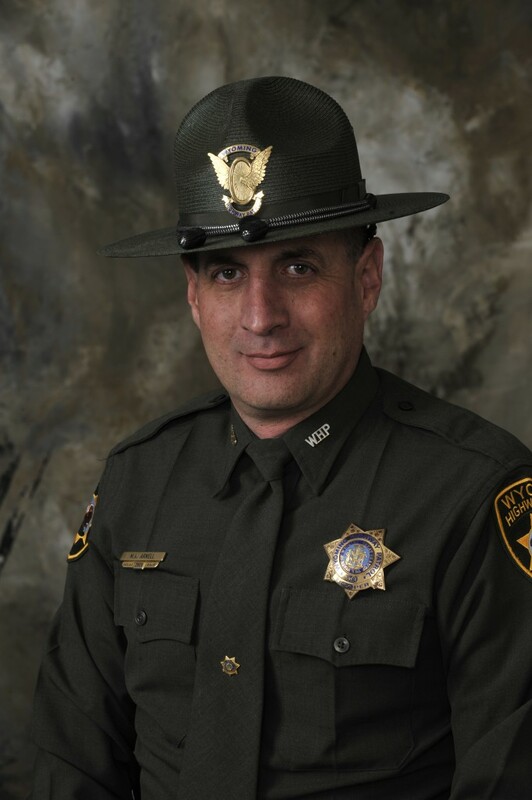 Thank you to all of the concerned citizens who initially came to Trooper Miears’ aid as well as the Park County Sheriff’s Office, Wyoming State Parks, Cody Fire District and the West Park Ambulance and Hospital staff that responded. 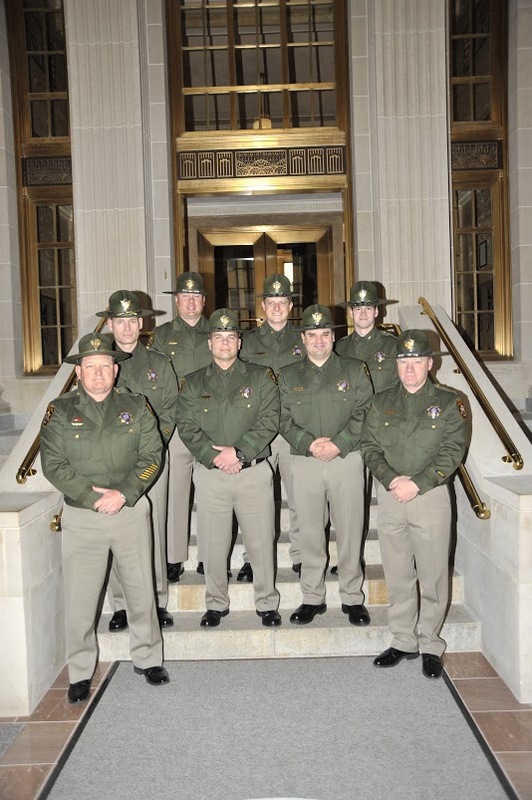 Four new Wyoming State Troopers were sworn in by Chief Justice E. James Burke and commissioned on March 19th at the Wyoming Supreme Court in Cheyenne. These troopers have successfully completed up to 28 weeks of academy training including areas of instruction in traffic law, firearms, impaired driving, crash investigation, custody and control, commercial carrier, child passenger safety, radar/LIDAR use, emergency vehicle operation, active shooter and many others. These troopers will now move onto the field training program out on the highways before they begin patrolling on their own. Along with family and friends, others present at the ceremony were Wyoming Supreme Court Justices Kate Fox and Michael Davis, Wyoming Peace Officer Standards and Training Commission Director Len Declercq and multiple Wyoming Highway Patrol supervisors, troopers and support staff from around the state including Colonel John Butler. 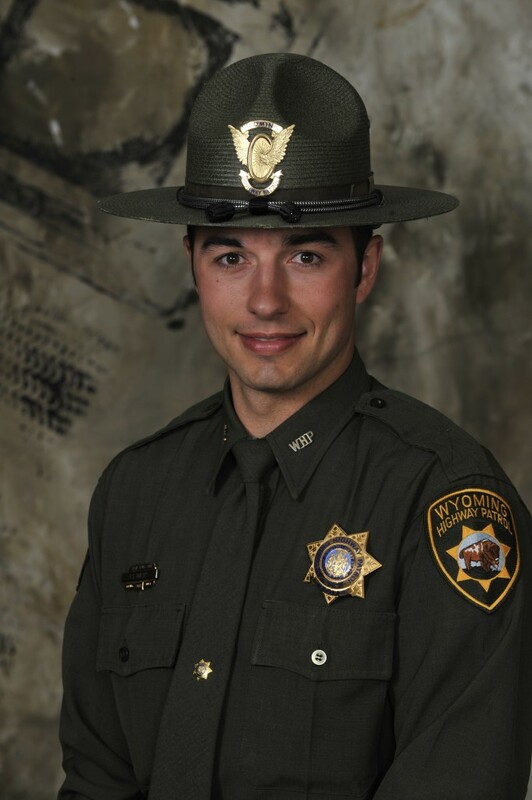 Please join us in congratulating Wyoming Highway Patrol Trooper Basic 87. Front Row L to R: Colonel John Butler and Sergeant Randy Starkey. Middle Row L to R: Captain Derek Mickelson, Troopers Awtrey and Williams.